in front of our website visitors! 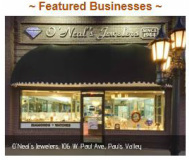 This bizcard-like ad space will include a photo of your business, a logo or a business card on the home page in a shared slideshow with other businesses under the banner "Featured Businesses." The image can be linked to your website. A small caption can provide your address and/or phone number. 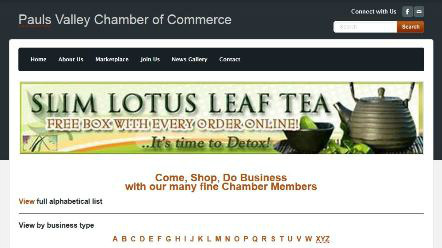 Also, we will identify your "Featured Business" status on the Chamber's Facebook page. Tell us what type of ad you desire, what month(s) you choose, etc. You banner ad as you (or we) design it to appear on the top of the "Marketplace" page. The image can be linked to your website. Also, we will identify your sponsorship on the Chamber's Facebook page.